As Super Smash Bros. 3DS comes closer to launch (only a month away for Japan), there still might be a chance for one more newcomer until everything is revealed then. 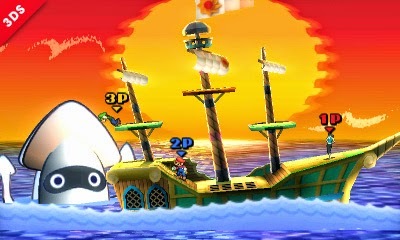 Last Monday, Sakurai showed a Paper Mario themed stage for the 3DS version of Smash Bros. Sakurai stated "For the first time ever in the Super Smash Bros. series, here's a Paper Mario stage!" 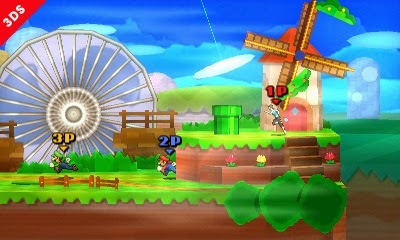 It's the first time in Super Smash Bros. Paper Mario has gotten representation in stage form. Looking back at the Super Smash Bros. 3DS trailer (specifically on the segment showcasing trophies), I noticed Paper Princess Peach as a unlockable trophy in Smash Bros. 3DS. This is notable for the reason Paper Mario doesn't have any trophies shown off. Nintendogs has stages and trophies as well so my reasoning isn't solid, but Paper Mario has been a highly requested character since Melee, and personally I would like to see him join the battle. 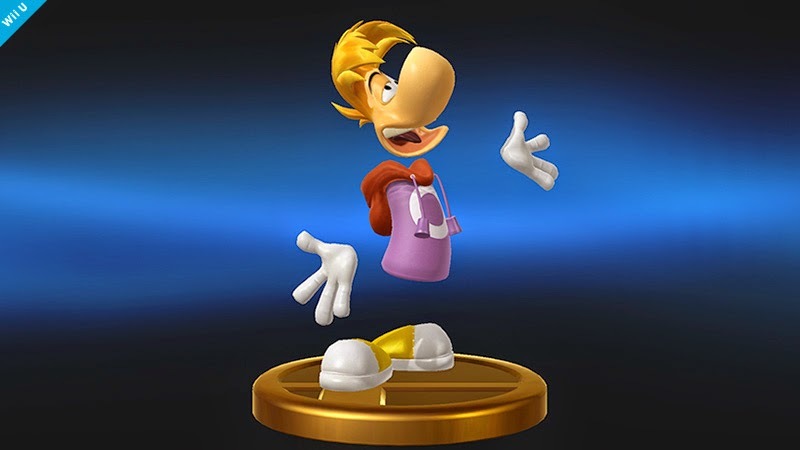 "In order to make Rayman's trophy, we asked Ubisoft to share their references. We were expecting to receive 2D drawing references for Rayman, but to our surprise, they sent us data of a brand new 3D model that they rendered for this game!! And that was how this trophy was created. It takes a lot of work creating each model, so it's wonderful that the creators contributed their own efforts!!" Maybe since the Smash team have gotten their hands on a 3D model of Rayman they could turn him into his own playable fighter in the game? There is no further hint at Rayman being playable, and chances are very slim, but I thought I'd mention him. Who do you think will be coming at the last minute? Leave a (somewhat reasonable) comment below explaining your character and evidence for having that character in.